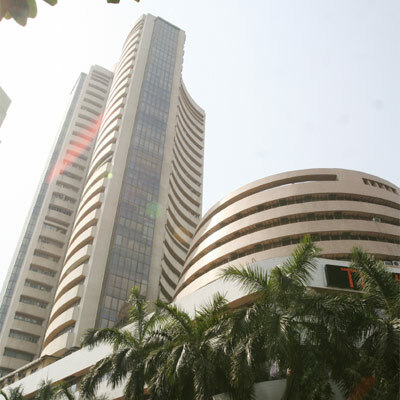 New Delhi - The market valuation of top five Sensex companies fell by Rs 36,971.61 crore last week, with ONGC and Sun Pharma being the worst hit. While ONGC, RIL, CIL, Infosys and Sun Pharma saw losses in their market capitalisation (m-cap), TCS, ITC, HDFC Bank, SBI and ICICI Bank witnessed gains. The m-cap of ONGC plunged Rs 11,421.58 crore to Rs 3,67,158.86 crore, while Sun Pharma lost Rs 10,749.03 crore to Rs 1,66,910.28 crore from its valuation. Coal India's value dipped Rs 8,400.77 crore at Rs 2,26,094.26 crore; Infosys (Rs 3,327.7 crore at Rs 2,10,879.62 crore) and RIL (Rs 3,072.53 crore at Rs 3,28,501.95 crore). On the other hand, the m-cap of SBI surged Rs 8,227.23 crore to reach Rs 1,96,020.23 crore, while ITC added Rs 4,421.88 crore to touch Rs 2,83,518.18 crore. ICICI Bank's market valuation rose by Rs 1,943.15 crore at Rs 1,81,069.22 crore, TCS (Rs 1,733.47 crore at Rs 5,10,415.13 crore) and HDFC Bank (Rs 1,677.83 crore at Rs 2,06,458.39 crore). In the ranking of top-10 firms, TCS stood at number position followed by ONGC, RIL, ITC, CIL, Infosys, HDFC Bank, SBI, ICICI Bank and Sun Pharma.